Many moons ago I spotted a shift knob in a parts catalog. The catalog was Mugen’s for the FK2 Civic Type R. It’s the car that’s soon to be replaced by the new global model Type R. I knew I had to buy it since I prefer a leather one. After sending inquiries to two US Mugen distributors I had both the red and black model ordered. The black one is here and I love it. It was worth the wait. This knob is replacing another tried a true one. It was a 400g leather by Razo. It’s treated me well and I enjoyed the heft. 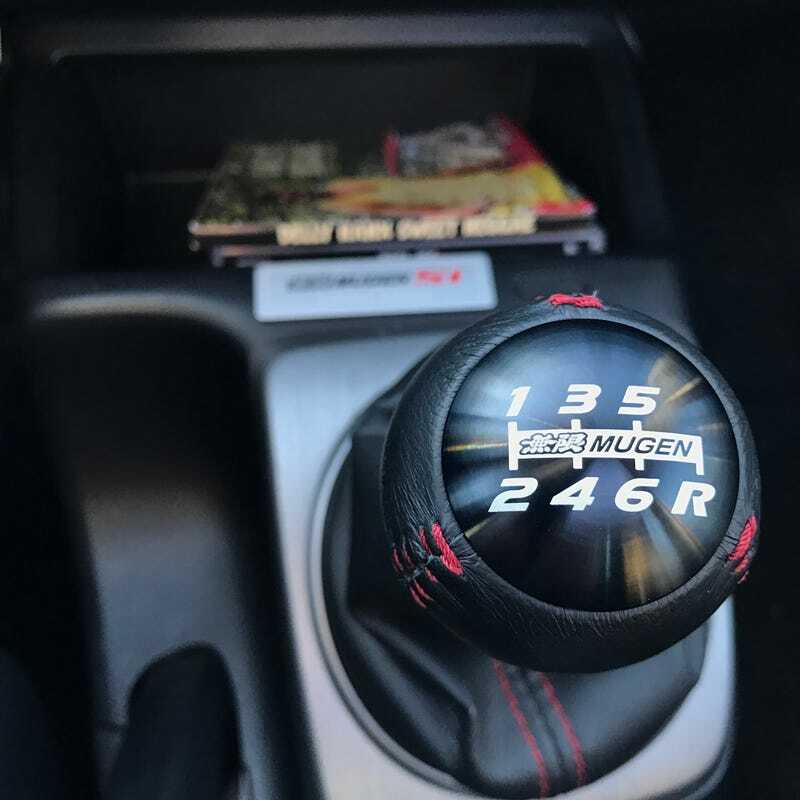 Mugen nailed this shift knob. It’s less than half the weight but much smaller so it’s unbelievably dense. The shifting now feels like a short shifter. Thank you Heeltoe Automotive for bringing this shift knob home.